This utility can generate the following barcode symbologies: Code 39, Code 128, Codabar, EAN-13, EAN-8, UPC-A and UPC-E. There are four variables when generating your barcode. Scale: This changes the width of your barcode. By modifying the last three, you can determine, the height/width/typeface size. Our recommendation is that you start at one of the sizes shown in the diagram and make modifications until you get to your desired size. Terms of Service: This is a free service provide by this site. We do not provide any support. The use is permitted only for legal purposes and according to the valid regulations in the area where you are doing business. The functionality, output and availability of this free service can’t be guaranteed. 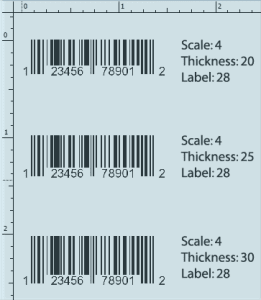 If you are generating UPC and EAN barcode graphics, you must own those numbers. If you do not own your barcode numbers, we recommend www.nationwidebarcode.com or www.gs1.com. Codeabar: Originally developed by Pitney Bowes, the Codabar Barcode is used primarily by US Blood Banks, Photo Labs and Overnight Delivery Services. Codabar can encode the numbers 0 through 9, the start/stop characters A, B, C, D, E, *, N or T. and the six symbols (-:.$/+). EAN-13 barcode (originally European Article Number, but now renamed International Article Number) is a 13 digit (12 data and 1 check-digit) barcoding standard which is a superset of the original 12-digit Universal Product Code (UPC) system developed in the United States. EAN-8 barcodes may be used to encode GTIN-8s which are another set of product identifiers from the GS1 System. 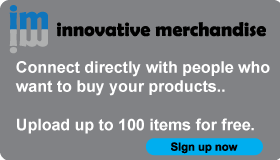 UPC-A Barcodes are used for marking products sold in stores throughout the USA and Canada. The barcode is comprised of three groupings of numbers, the manufacturer ID (the company who owns the barcode prefix) which is 6, 7, 8 or 9 digits in length, the balance of numbers totaling 11 digits and the final 12th number (Check Digit or Checksum).